My husband is very proud of his new car which has a convenient ´cellar´ – so here is my very own book cellar. I have read some of them already, but there are several months of entertainment here. This entry was posted in TBR. Bookmark the permalink. I’m green with envy of the loot given to you by your uncle, and of your very own book cellar! What a great treat for the coming cold months! I see most of the titles are in English. Do you seek out books in Danish? Or are you comfortable reading in several languages? It seems like you do vary languages in your reading. I am happy as I just got Denise Mina’s new book and Gianrico Carofiglio’s third book from the library. However, I find the library is not buying Yrsa Sigurdadottir’s Ashes to Dust, so I will purchase it, and have to remember your suggestion of Awesomebooks.com And I cannot wait for Soho to release The Boy in the Suitcase. Can I just say, shame on you! And that I’m super duper jealous. I would take them too. Happy reading, there are some great titles in there. Dorte – Oh what a delicious cellar full of reading you have! You are so lucky and I hope you’ll enjoy it all. I look forward to your reviews. Wow, thats some collection and not one I could have restrained myself from accepting either. Dorte: Your uncle is a generous man. 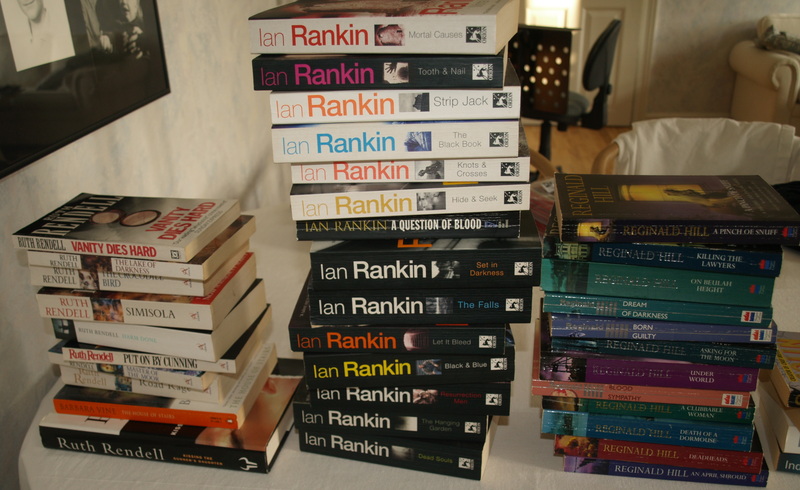 What prompted him to give away so many fine books? Dorte you are a lucky girl, and you are not going to have time for anything but reading. You could not refuse those books. That was definitely an offer you can’t refuse – I know I wouldn’t be able to even though my hubby would probably kill me if I introduced even more books to our bookshelf. 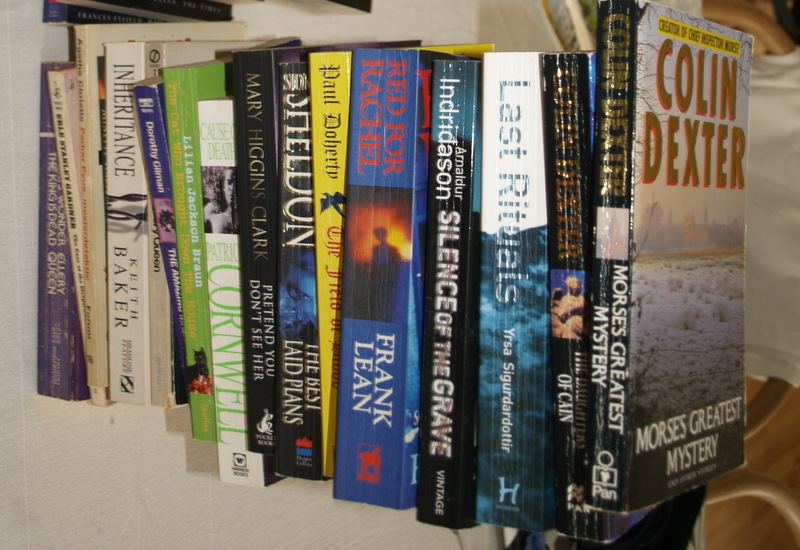 Kathy: I much prefer reading English crime in the original language, and as my uncle lives in Belgium, it is natural (and much cheaper) for him to order books from England than from Denmark. Enjoy your books; I can see you have some treats ahead of you. Clarisssa: I am exhilarated, but I have two books I am determined to read first. Margot: I am indeed lucky, and I appreciate it very much. Bill: well, they are beginning to think their house may be too large for them (my luck). Oh, my. Who could resist this? Kelly: as my uncle said, I can always give them away to someone else when I have read them. Ohhh, lots to look forward to. My grandfather will be getting rid of 20 boxes of books soon and wants the family to take what we want. I expect my library will swell severely, but I think it will mostly be reference books.